What types of trees would you plant if you wanted to anticipate a warmer climate in the future? How would you decide? “Off-site” California Douglas-fir at Oregon test site displaying increased vulnerability to needle disease. Photo: Brad St. Clair. 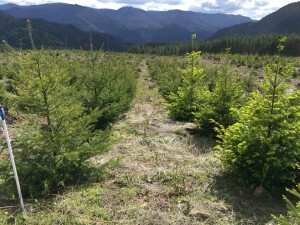 Apart from the context of climate change, maladaptation of Douglas-fir in the Pacific Northwest has been observed in “off-site” trees planted too far outside their parent tree’s area of local adaptation. 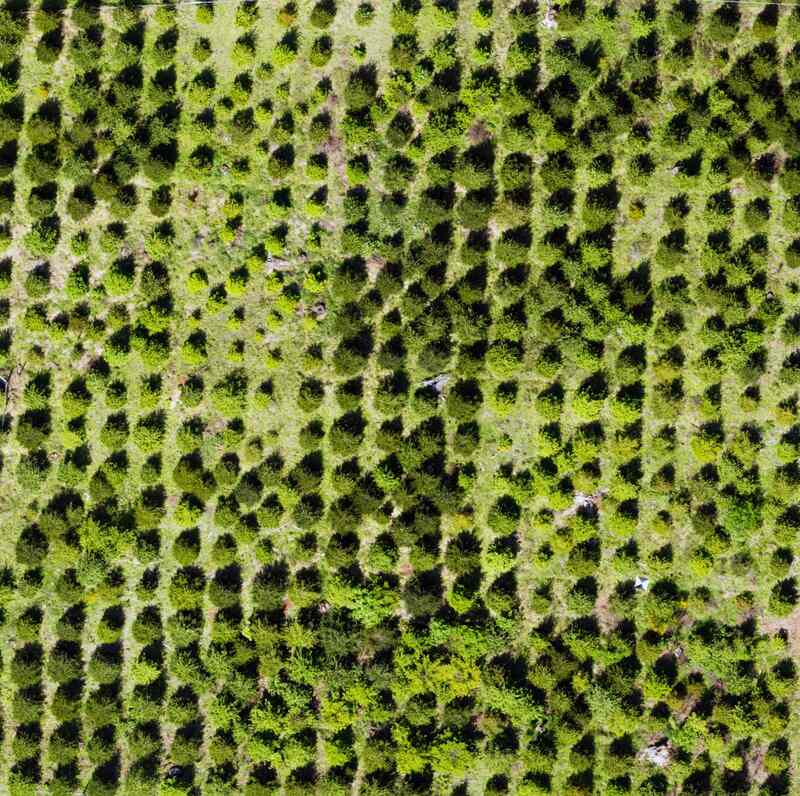 Problems such as weather damage, increased disease, slow growth, and poor health result from off-site trees being genetically maladapted to local conditions. Most problems resulting from planting trees off-site are a legacy of past practices, done before we understood the importance of local adaptation. Current practice is to plant trees from local seed sources within geographic “seed zones” determined from genetic research on each species. But if climate changes significantly, our current seed zones eventually won’t match up with the climate. Over the long term, large-scale controlled experiments are being established to provide research-based answers on how to approach assisted migration. But landowners and forest managers have an immediate need to decide what to plant each year. Given the complexity of biological systems and the uncertainty of future climate, there are no clear guidelines for assisted migration yet – people deciding what trees to plant have to make an educated guess. From research on climate and tree genetics, one approach suggested for assisted migration is to plant a mixture of local seed sources along with some seed sources from lower elevations and farther south. This could be combined with higher planting density plus thinning to allow for some selection of better trees depending on future climate conditions. Assisted migration is already being deployed in British Columbia (BC), where the degree of warming over the last 35 years has raised immediate concerns about maladaptation. Seed transfer standards in parts of BC were changed starting in 2008 to allow moving seed of Douglas-fir and other species 200 m higher in elevation and one seed zone further north (up to 300 kilometers or 2 degrees of latitude).2,3 Also, standards in BC were amended to allow planting western larch in some areas outside of its current range of occurrence, up to 10% of the species mix in new plantings. Specific changes to seed zones and seed transfer guidelines have not been proposed for Oregon. The degree of warming in Oregon over the last 35 years is much less than that in higher latitudes of BC. However, for coastal Douglas-fir in Oregon, genetic traits including timing of bud break, summer growth and bud set, along with drought hardiness are all strongly related to local climate of the parent tree’s origin. These traits are key determinants of Douglas-fir maladaptation, related to climatic factors such as winter temperature, frost dates, and drought severity. 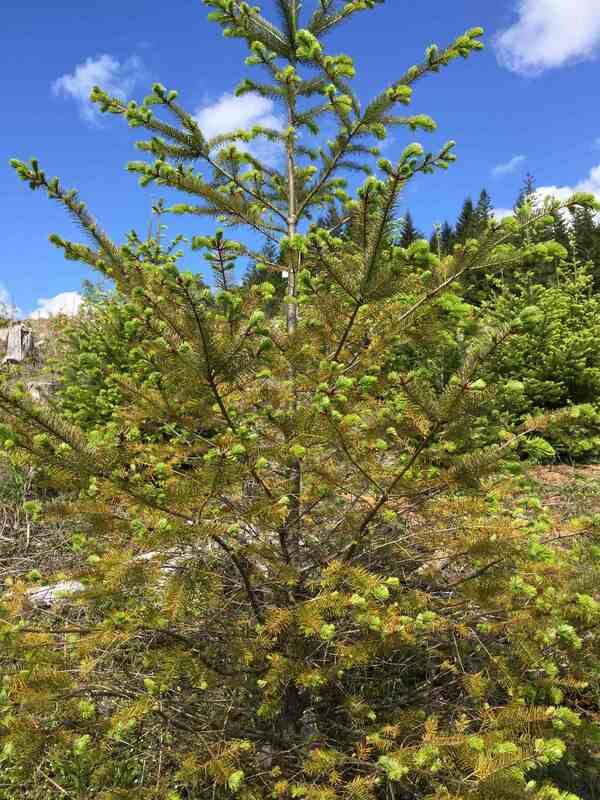 Future projections suggest that warmer temperatures, longer growing seasons, and increased drought severity will stress Douglas-fir that are adapted to current climate conditions. A challenge with implementing assisted migration is the tradeoff between short-term vs. long-term maladaptation. 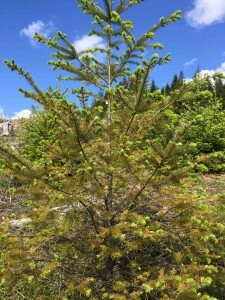 While current populations of Douglas-fir may not be adapted to the future climate, trees from warmer climate zones may not be adapted to the current climate at higher elevations or further north. Regardless of the approach one takes to assisted migration, it is advisable to be cautious, take small steps and observe the results over time. 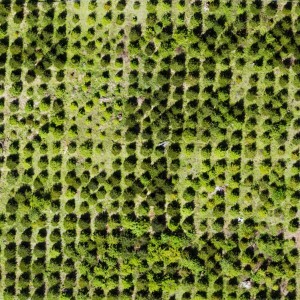 Aerial view of study site showing variation in Douglas-fir performance due to genetic differences related to geographic origin. Photo: Jonathan Burnett, UAS flight under COA WSA-212. Planting native seedling stock within current seed zones matching your planting site (status quo). Choosing a mix of seed origins, some from local seed zones, some from zones further south or lower in elevation. Planting genetically improved stock from existing tree breeding programs. 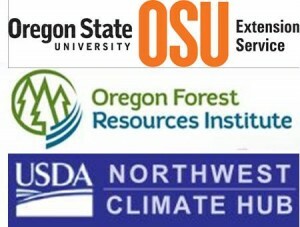 Foresters in charge of reforestation across a variety of forest ownerships in Oregon are considering these options. To find out what they are thinking about assisted migration, stay tuned for a future blog on Oregon Forests and Climate Change. Genetic Maladaptation of coastal Douglas-fir seedlings to future climates. St. Clair and Howe. 2007. Global Change Biology, 13 p 1441-1454. Assisted migration to address climate change in British Columbia: recommendations for interim seed transfer standards. O’Neil and others 2008. BC Ministry of Forests. Technical Report 048. Chief Forester’s Standards for Seed Use in British Columbia. Assisted Migration: What It Means to Nursery Managers and Tree Planters. Williams and Dumroese 2014. Tree Planters Notes, Vol. 57, No. 1, p 21-26.